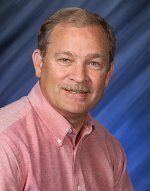 Congratulations to Pacific Northwest National Laboratory's Bruce Bushaw on having his article from Physical Review A selected for the June 2007 issue of the Virtual Journal of Ultrafast Science. The journal is published online by the American Physical Society and the American Institute of Physics in cooperation with other societies and publishers. The journal is an edited compilation of links to articles on ultrafast phenomena. The work uses ultrahigh precision laser measurements of the ionization energy of lithium to confirm nuclear and quantum physics theories. Lithium is the largest atom on which very precise theoretical calculations can be performed. The research team measured the ionization energy for the stable isotopes lithium-6 and lithium-7 and compared them to the current theoretical state of the art. The measurements matched very well. The remaining discrepancy gives guidance for higher order relativistic and quantum-electrodynamic corrections. The confirmation of the theory supports measurement of the nuclear-charge radii of extremely exotic isotopes at online accelerator laboratories in Germany and Canada. Of particular interest is the radioactive isotope lithium-11, which has a half-life of 8 milliseconds and is the best known of the "halo nuclei." The U.S. Department of Energy's Office of Basic Energy Science sponsored the research at PNNL. Scientists at the Gesellschaft für Schwerionenforschung (Darmstadt, Germany) and TRIUMF (Vancouver, Canada) generated the exotic isotopes. Researchers at the University of Windsor in Canada performed the theoretical calculations. Bruce performed the stable isotope measurements in the Research Technology Laboratory, located on the PNNL campus. Reference: Bushaw, BA, W. Nörtershäuser, GWF Drake, and H-J Kluge. 2007. "Ionization energy of 6,7Li determined by triple-resonance laser spectroscopy." Physical Review A 75,052503 (8 pages).